Supplements on the joints do not have to taste bad - this product is an example of this, his action is no doubt. If you are looking for the perfect product to just look at him! 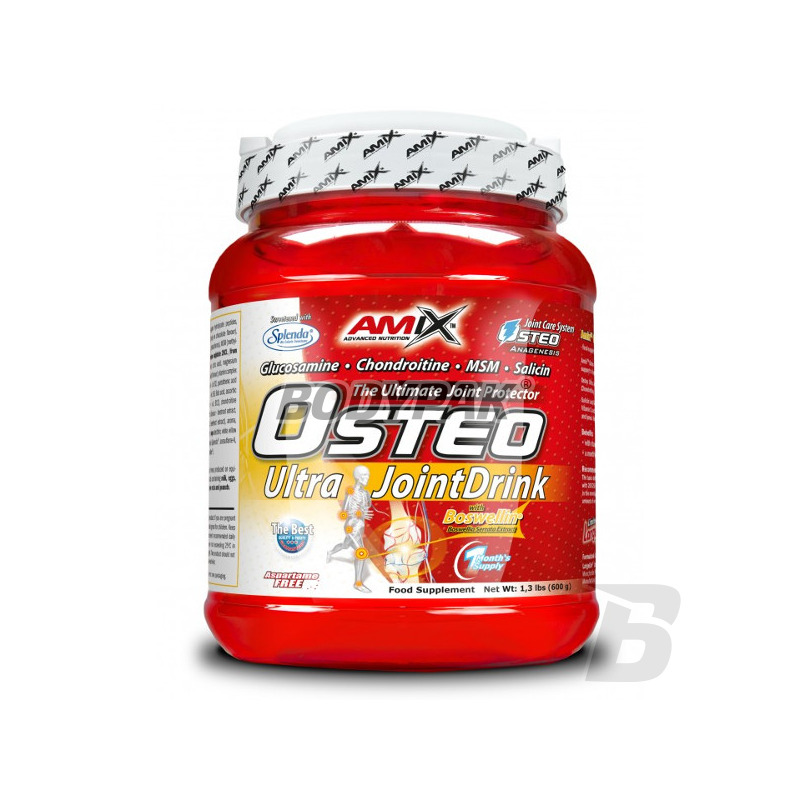 AmixTM Osteo Ultra JointDrink is a powdered drink for individuals who need added support to bones and joints, during and after strenuous activity. The basic daily dosage is 20 g (1 scoop). 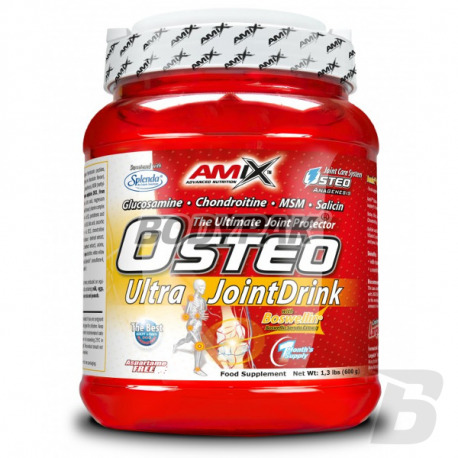 Mix one scoop of Osteo Ultra JointDrink with 200-250 ml of cold water. Use a blender or hand held shaker. Use preferably in the morning with food. To change the flavour and sweetness of drink, change the amount of water used for preparation. Ingredients: Hydrolyzed collagen peptides, maltodextrin, cocoa powder (chocolate flavor) phosphate, di-calcium phosphate (calcium and phosphorus), MSM, glucosamine sulfate 2KCL (crustacean), acidity regulator (citric acid, magnesium citrate (only orange flavor and fruit)), vitamin complex (thiamine HCl - vitamin B1, riboflavin - vitamin B2, pantothenic acid - vitamin B5, niacin, pyridoxine HCl - vitamin B6, folic acid, ascorbic acid - vitamin C, cyanocobalamin - vitamin B12), chondroitin sulfate 90%, dyes (the taste of fruits of the forest - beet extract, orange flavoring - beet extract and curcumin), flavor, stabilizer: guar gum, emulsifier: soy lecithin, White Willow Bark - extract, sweeteners: sucralose Splenda and acesulfamK, Boswellia Serrata - extract (Boswellin®). Smak w porządku. Jeśli chodzi o działanie to po jednej puszce jakby mniejsze bóle w stawach. Zamówiłem kolejną z nadzieją, że ból przejdzie całkowicie. Bardzo dobry skład i działanie. Stosuję co prawda profilaktycznie ale znajomy miał i przeszły mu boleści kolana.